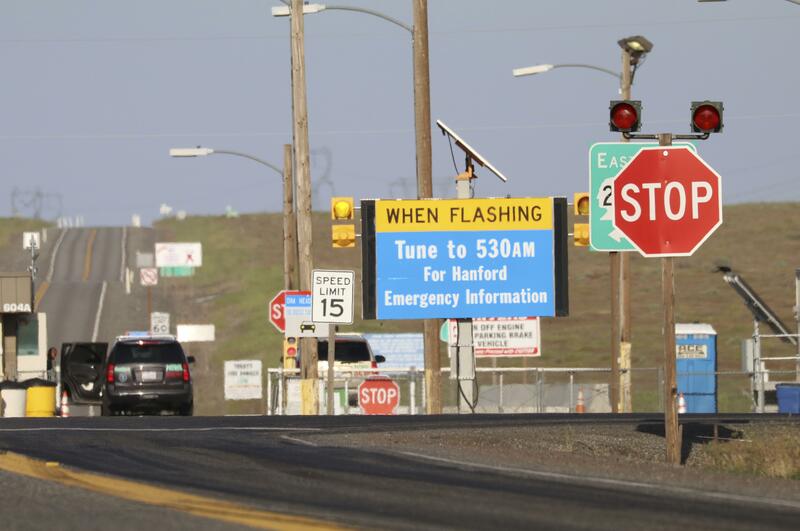 RICHLAND – A landmark on the Hanford Nuclear Reservation is gone, after the big ventilation stack at the Plutonium Finishing Plant was demolished. The 200-foot tall stack was demolished on Saturday. The plant was the final step during decades of production of plutonium for nuclear weapons at Hanford. It is being demolished as part of efforts to clean up the site near Richland. Hanford officials say the plant has been cleaned up enough that the ventilation stack was no longer needed. Workers used a small amount of explosives to weaken the stack, and gravity brought it down. This month, demolition will start on the main processing facility at the Plutonium Finishing Plant. That work is expected to be done by September. Published: July 17, 2017, 2:08 p.m.